At the Rotman School, you will find yourself challenged and motivated to excel by the high calibre of your classmates — peers who will provide a lifetime network of friends and business contacts. At Rotman, we seek out students who have done interesting things with their lives, who have travelled, launched businesses, excelled at school and work, and sought out experiences that make for an incredibly dynamic class. tudents at every career stage come here to gain the knowledge, agility and confidence demanded by a world that keeps accelerating. Learning at Rotman goes deeper – into a rigorous, model-based problem-solving approach that shapes effective decision makers. And it also goes deeper into personal development, with programs designed to help you fulfill your potential as a leader, entrepreneur or agent of change. The emphasis on building relationships, group work and networking within the classroom is unique to the Rotman School. Outside the classroom, student clubs, case competitions and other activities will allow you to explore different career choices, expand your personal and professional network, and get the most from the Rotman experience. The best part of student life at Rotman – and this is even true even before classes begin – is that it’s largely led and organized by Rotman students themselves. Whether you are organizing an international case competition or pitching a fundraiser to a potential donor, there is no better way to build your real-life leadership skills than by getting involved in our student clubs. Helping build a supportive environment for students, the staff at Rotman pride themselves on friendly and approachable service. You will have their full support for any questions or concerns you have about your academic or career path. And since pursuing a graduate business degree can be a big decision for both you and your family, the School also offers support for spouses, partners, and significant others of our students. If you are an international student, we offer many programs, services, and social clubs to help you find your place in your new home. The bonds of friendship and respect that you will develop with your fellow students are hard to overstate, and will provide value long past graduation. 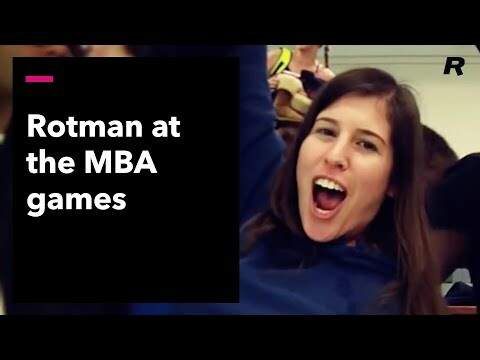 Meet some of our graduates, and find out which career paths await you after completing your MBA at the Rotman School. The Rotman Ambassadors are first and second-year MBA students available to provide you with insight and assistance so you can make an informed decision about where to earn your MBA. Tony has worked across the US, the Middle East and India in a range of fields, including computer programming, healthcare, IT consulting and corporate learning and development. He’s also worked as a life coach and corporate trainer, and is interested in exploring the fertile ground at the junction of business and creativity. Before coming to Rotman, Alex was a director at WTG, a media and event organization based in London, UK. A member of Forte Foundation, for women in business, she is passionate about brand strategy, leadership, arts and culture, fashion, and a range of social and environmental causes. 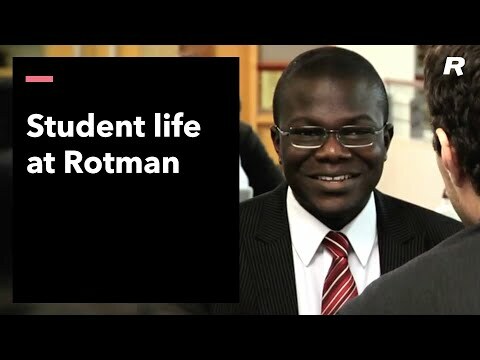 Student life at Rotman is about more than just having fun.